The Midwest is known for especially harsh winter conditions. 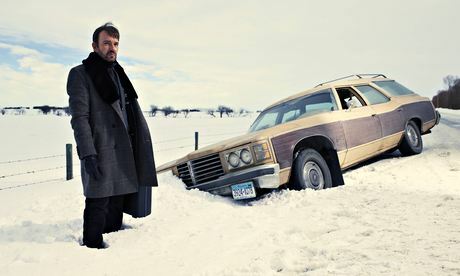 If the ice cold cinematography of Fargo hasn’t kept you glued to the couch this fall then perhaps it’s worth considering that plenty of Norwegian immigrants made the Midwest their home as it closely resembled the climate of Scandinavia. Still, Homeowners look back towards Scandinavian heritage to help combat the costs of winter living. With the coming winter being that of an El Nino, perhaps it’s time we all take stock of our winter living arrangements and take the time to make some improvements. You might not know this until you face a hard winter, but older homes (pre-1940s) have quite large gaps in between windows and doors. One Landlord told me that if you were to add all the gaps together it would be like having a hole, roughly one cubic foot in diameter, in the side of your house. Just think about the steam pouring out of your refrigerator. Although it may be obvious where certain air leaks occur (doors and windows), it’s important that you check the areas where different materials meet up i.e. brick meets wood, wood meets concrete, or where ventilation of HVAC meet up with surrounding fixtures. If you’re a renter you may find that replacing single pane windows costs too much. Instead check for weather stripping applied around openings and crevices, and make sure it’s holding up. Further insulating can be done with plastic sheeting by simply affixing the sheeting around the windows and sealing with a blow dryer. This is effective because porous materials make better insulators. Thick blinds can also be of help when cold nights come. Make sure to take full advantage of letting sun in during the daytime, this is free heating at it’s best. Doors can be tricky, as heat typically escapes through the bottom. The problem needs to be assessed without compromising the doors ability to open and close easily. Consider installing a door sweep that will help insulate but is mobile and won’t hinder any moving components around the door. 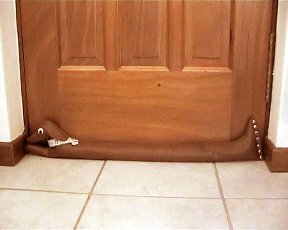 In northern England there’s a product that is referred to as a sausage dog, as it resembles a dachshund and blocks are from blowing in underneath the door. Similar to the Scandinavian snow worshipper of the past, one should be more comfortable with the winter conditions, and adjust the mental mind-set. This is the Norweigan concept of Koselig. This is thought of in America as the concept of simply being cozy. For Norway however, this concept runs much deeper. Use the winter as a time for rest and rejuvenation. Practice self-healing and find time to read, curl up with a blanket and a warm beverage, perhaps a pet. In line with saving money, you could stop going to the gym and workout at home. Generating heat yourself is a very effective way of getting some warm air circulating in the house. It might seem strange but it’s free and effective. Similarly if you have a dog, a safe game of catch in the living room can bring up the temperature. Being active, saving money, and keeping warm will bring you directly in line with the fundamentals of koselig. You’re all set for a warm winter.